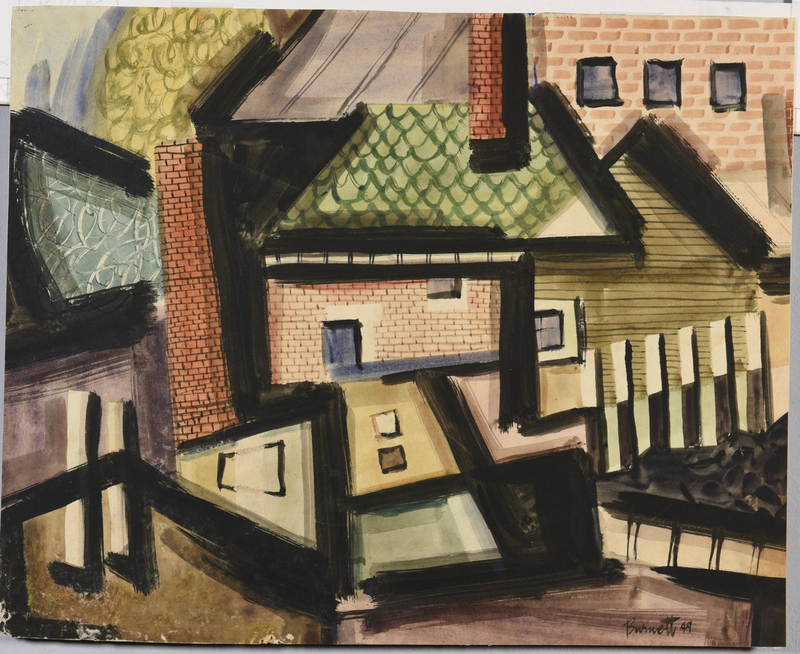 Two (2) Ted Burnett (American/Tennessee, 1908-1982) works on paper. 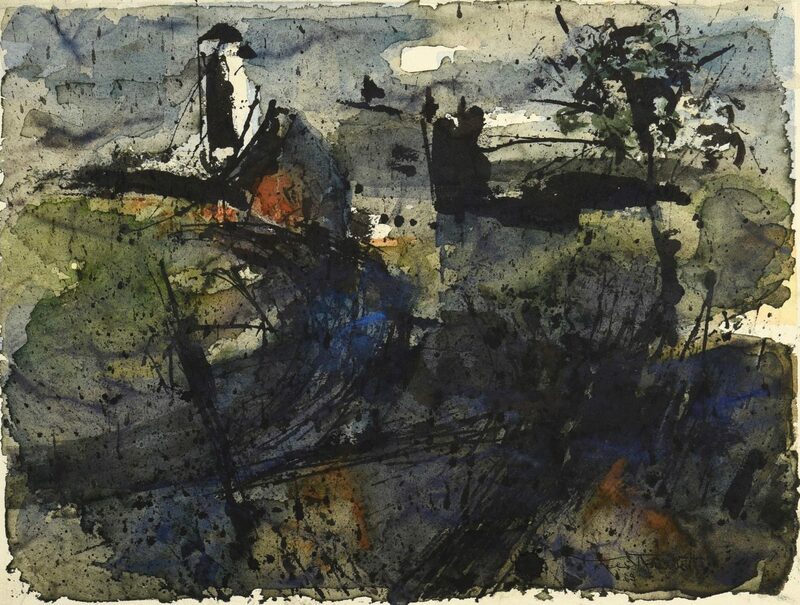 1st item: Abstract watercolor on paper titled "The Lighthouse". The image is rendered in shades of blue, green, red, black, and brown. Signed "Ted Burnett" lower right of image. 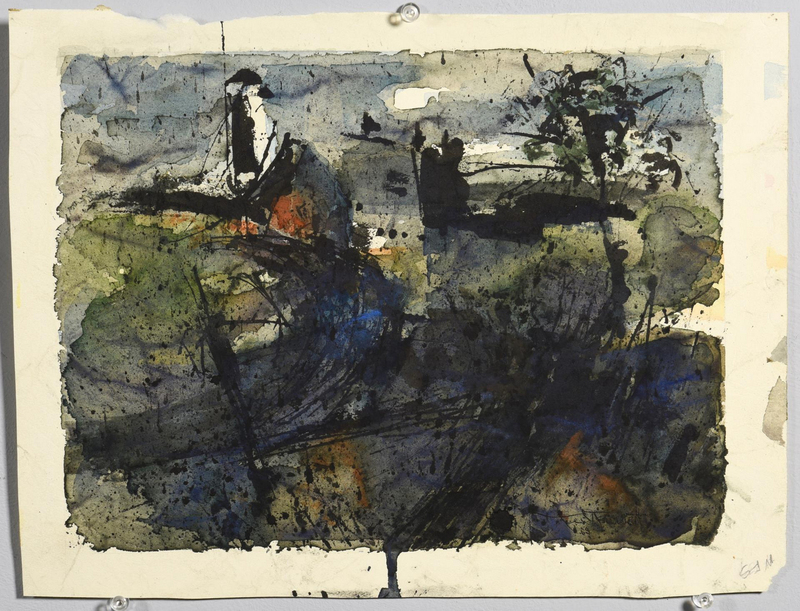 "Ted Burnett watercolor The Lighthouse $125.00" in pencil en verso. Unframed. 10 1/2" H x 14 1/4" W. 2nd item: Watercolor on paper titled "City Scene". 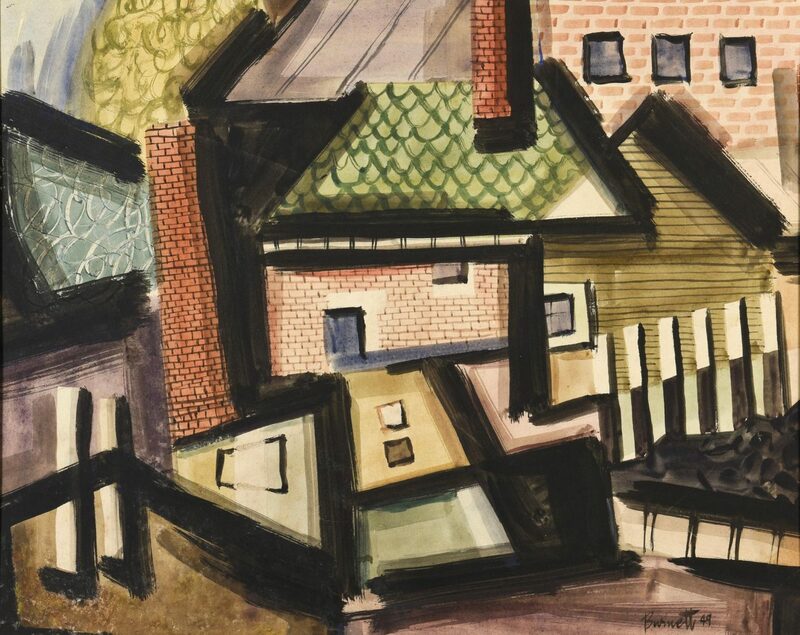 Depicts a cubist rendering of a house. Signed and dated "Burnett 49" lower right of image. Housed in a tan and dark red matte. 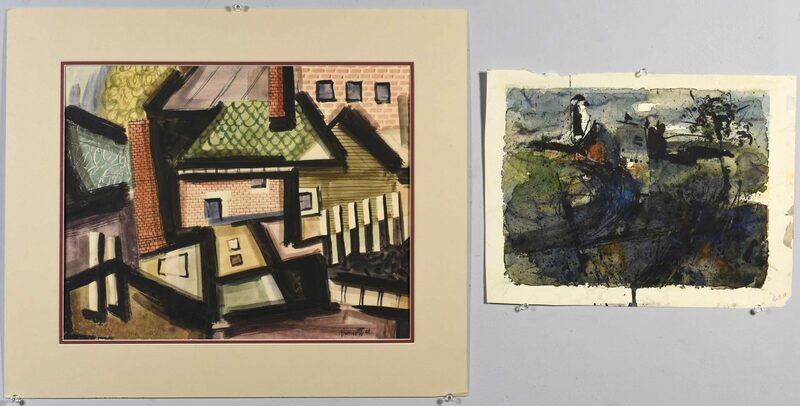 Sight – 12 5/8" H x 16" W. Matted – 18" H x 21 1/4" W. Biography (Courtesy Village Fine Arts): Ted Burnett was born in Knoxville, Tennessee. He graduated from the Chicago Academy of Fine Arts and studied at the Chicago Art Institute and Eliot OÌHara Watercolor School in Maine. TedÌs many awards included the Hallmark International Award, Nashville Arts Festival Purchase Prize, Art Association of New Orleans Watercolor Prize, Tennessee Valley Art Association Reynolds Metal Award, the Birmingham Art Association Jury Exhibition Award, and the Dixie Museum Purchase Prize. CONDITION: 1st item: Some slight scattered tears to paper edges, top left and lower right corner, errant watercolor or pencil marks on edges. 2nd item: Overall excellent condition.